Horses can spend almost 20 hours a day grazing grasses in order to satisfy their hunger. Investing time and money into optimising your grassland will offer considerable long-term benefits. Horses have a very small stomach in comparison to a large hindgut & colon. The hindgut is specifically designed to break down the high fibre low nutritional grass that they would have found as they foraged on their travels. Giving horses too many treats that contain levels of sugar-derived energy will lead them to struggle to metabolise during their normal day. Horses and ponies are also much more prone to laminitis (a very serious and potentially agonising condition) when grazing poorly managed grassland. This can mean poor nutrition will be delivered to the horse as a consequence. 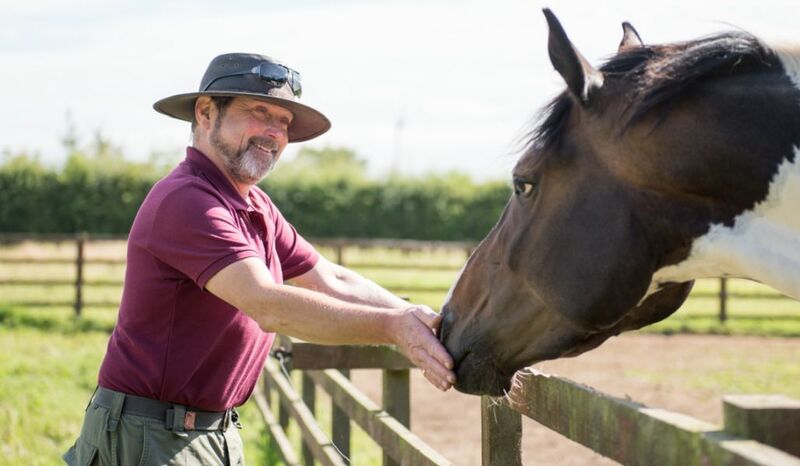 Lordington Park Agronomy can help ensure your horse gets all the essential proteins, vitamins and minerals it needs. By customising your soil’s fertility and grass species through a sward management plan you can generate a self-sustaining grazing environment for horses and other animals. We can help you find out what is happening in your soil to ensure it is balanced correctly for benefit of the grass. We can also advise on what herb species can supply mineral requirements and which grass species will deliver the energy they need. This species provides essential energy and responds well to fertiliser regimens. Perennial varieties with varying heading dates are required to ensure continuity of supply throughout the year. Has a productive life of three years and produces 18 Tonnes / Hectare of Dry Matter (DM) making it ideal for silage/ haylage / hay, but not appropriate for grazing because of its high sugar content, and short productive life. This has a productive life of more than five years and produces 13-15 Tonnes / Hectare of Dry Matter (DM), which is ideal for grazing situations as the lower sugar content that Italian Ryegrass is perfect for keeping horses well nourished, but not hyperactive. A persistent grass that provides valuable forage in a dry year. Grows at lower temperatures than Ryegrass, so provides valuable grazing at the beginning and end of the Season. Ideal for inclusion in a grazing mixture to provides invaluable ground cover and therefore grazing in a cold spring. Lower nutritional value than Ryegrass but invaluable species for drought prone environments. A deeper-rooted low nutritional value species that helps maintains sward viability and drought tolerance. Perfect to include in a grazing mixture to provide bottom to the grazed area. Ideal for inclusion in any grazing mixture as it survives in adverse environments. When looking down at the grass, no soil should be visible. Therefore a highly productive grazing environment for horses, and one that will survive daily wear and tear. Creeping underground stem that stores carbohydrate for the plant to use in stressful growing conditions.